Personalization is the name of the game. A beacon of individuality, the 2018 Ford Mustang is designed with the unique needs of drivers in mind. From the customizable colors of the instrument panel to different drive modes, you can tame your Mustang to fit your own personal style and needs. The instrument panel in the new Mustang is the first all-digital display ever offered on this particular make. On both GT Premium and EcoBoost® Premium, you can set your layout the way you like it and even customize the colors to suit your particular mood. It also allows you to set your preferred drive modes, such as steering preference, for optimum efficiency. The 2018 Mustang adjusts to you rather than you having to adjust to it. This make and model’s style accentuates the signature haunch of the classic Mustang muscle car by lowering the front hood. A spacious interior does not thwart the generous storage space of the trunk. All Mustangs now come standard with LED front lighting. The power of the Mustang is typically its greatest selling point. The rumors are all true. When you test drive the new model, you can experience the same performance that you expect from a Mustang. Ford has improved on its already legendary horsepower and torque as well as its shift speed. 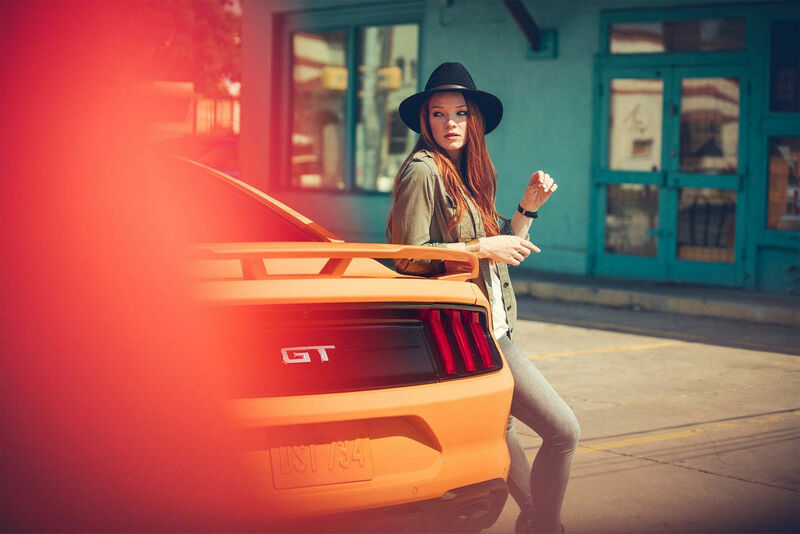 The new and improved dual exhaust system lets you control the volume of the Mustang’s famous growl. Tone it down or rev it up as you round a curve and unleash it on a straight run. The helpful staff at Petrie Ford would love to see you drive away in your 2018 Mustang. Enjoy the new technology and new comforts while still reveling in its classic feel. We are confident that once you experience it, you won’t be able to resist it. Come in for a test drive or contact us for more information.